The only thing worse than a nuclear terrorist attack on US soil may in fact be more likely. Nuclear terrorism is one of the few issues that almost everyone can agree on – it really is a worst case scenario. A terrorist organization acquiring unsecure nuclear material from a nuclear state – or worse, purchasing nuclear technology off the nuclear black market – is the ultimate unthinkable tragedy and a very difficult enemy. Commensurate retaliation on the attackers would be impossible. The US might choose to retaliate against the nation that supplied the nuclear material or weapon; or against the nation hosting the terrorist organization, but such actions are ultimately ineffective at limiting a future threat. Consider this scenario: al Qaeda acquires two loose nuclear weapons through sympathetic terrorist organizations in Russia. Al Qaeda then sends its operatives along with the weapons to the port in Los Angeles and to the Boston harbor. Even a dirty bomb (one that merely disperses nuclear material rather than creating a nuclear blast) could kill hundreds of people initially and thousands more from radiation poisoning. But the true terror is from the after effects. Markets would crash, the port of LA would close – reducing US imports by 45 percent – the current administration’s security policies would be disparaged, and we would be forced to embark on even larger counterterrorism campaign. This is all, of course, in addition to the psychological effect on the American public, the heightened security measures by nations across the globe, and the looming question of whether or not there would be another attack. But this scenario may, in fact, be a better than at least one alternative. What would the world do? Certainly the US publicly claims not to negotiate with terrorists, but its own history and that of its allies suggests that negotiating with terrorists may not be too far from the norm. For example, the British did it in Northern Ireland and (depending on semantics) the US did it in Iraq and during the Iran Contra affair, among others. It is true that these “terrorist” organizations were very different from al Qaeda, but the point is the same. And we know from Spain’s example in 2004 that terrorist threats and attacks can and do influence political decisions and the democratic process. 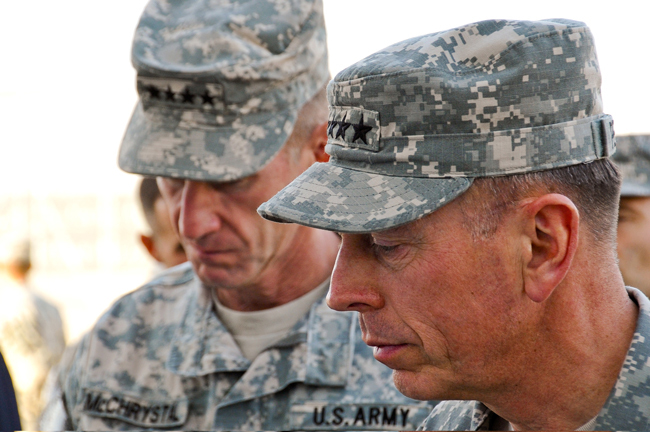 Could the US be forced to withdraw prematurely from Iraq or Afghanistan? Close its embassies in Muslim nations? Depending on the demands, it may not be up to the US to decide whether or not to negotiate. If the demands were to immediately withdraw all troops from Pakistan or the bomb would be detonated in Islamabad, one can be nearly certain that the either the government or the population of Pakistan would quickly drive US forces out. So where does that leave us? Not detonating a nuclear device is at least as easy as detonating one. And that means that this even-worse case scenario is more probable. A nuclear attack leaves the US with thousands of dead civilians, a terrified population, but an emboldened sense of determination. Being held at nuclear gun-point leaves the US and its allies mostly crippled – certainly privately, if not publicly –with a terrorist organization effectively dictating foreign policy and still with the possibility of a devastating nuclear attack. In that situation, what could we do? How Do You Ask a Man to Be the Last Man to Die In Afghanistan? Senator John Kerry has posed this same question about Vietnam, and also later during his presidential campaign with regard to Iraq. I believe that Kerry’s basic premise was how you can ask a man to be the last one to die for a mistake. 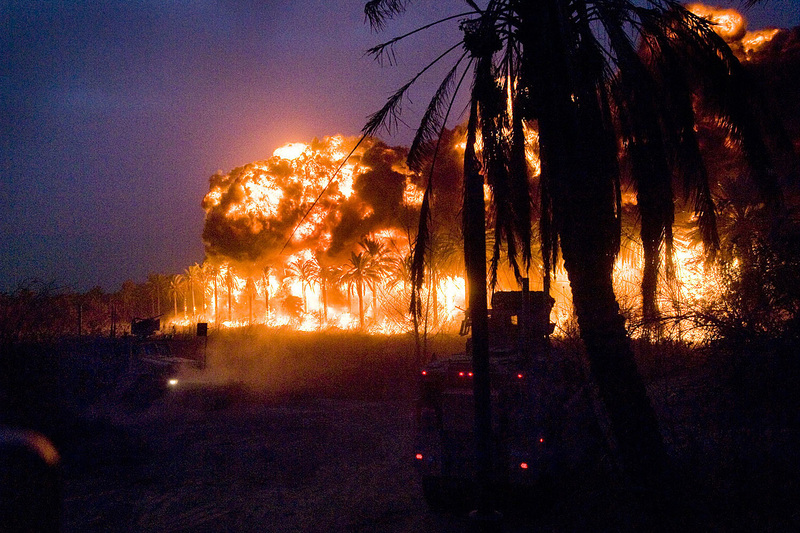 Kerry’s characterization of his own war, Vietnam, or mine, Iraq, is all an argument for history. However, with the current operations in Afghanistan we have to ask ourselves this same question again. How do you ask a man to be the last to die in a country where the government places no importance on their sacrifice? President Obama has set what appears to be a clear agenda for the military strategy in Afghanistan. While visiting troops there recently the President attempted to lay out for the deployed soldier his assessment and plan as Commander-in-Chief. The President explained to the troops that direct changes as a result of their presence could be directly seen, and that there will be an increased focus on making progress in the civilian sector including anti-corruption and rule of law. But how can President Obama even envision such a plan given the Afghan government’s complete inability to lead, and what’s more, the hostile incompetence of its leader, Hamid Karzai? Recently in a meeting with Afghan lawmakers, Karzai accused the United States of interfering with his country’s affairs, and surmised that this meddling would cause the Taliban to become a legitimate resistance movement. Karzai did not stop there but went on to say that if the parliament did not back Karzai’s attempt to seize control of the country’s electoral watchdog from the United Nations, he would consider joining the Taliban. The timeline begins with Karzai’s shadowy election in 2009 in which over one million votes cast in his favor were disqualified by Afghanistan’s Electoral Complaints Commission (ECC). This caused a runoff election which never took place because the second place candidate withdrew from the race. Karzai now wants the authority to appoint all five members of the commission instead of including the three members previously appointed by the United Nations. Karzai’s election is still associated with his government’s widespread corruption. Instead of making any showing to the West that he is serious about stopping this corruption, Karzai instead chooses to seize control of one of the few checks on corruption within the country. Luckily, Karzai’s meeting last week with lawmakers came about as a result of parliament’s rejection of his plan. The lower house of parliament rejected Karzai’s attempt, almost unanimously. The last year has also seen Karzai continue to reach out to traditional rivals and enemies of the United States to include Iran. This really just continues a pattern from Karzai beginning in earnest in 2007, when he described Iran as a “very close friend.” Karzai used this friendly characterization even as United States officials informed him that Iranian made weapons were flowing to Taliban fighters. There is no evidence that the Iranian government is behind the alleged shipments, but I think we’d have to look very hard to find the country with a more legitimate interest than Iran in flooding the Taliban with Iranian made weapons to use against U.S. troops. Karzai hosted his friend Mahmud Ahmadinejad while Secretary of Defense Robert Gates visited Afghanistan, and then returned the favor by visiting with Ahmadinejad this past March. This is counter to President Obama’s diplomatic campaign to “isolate” Iran in the region. It leaves the foreign policy of the Obama administration and the reputation of the United States in a laughable position worldwide. Karzai currently presides over a country where bribes are equal to a quarter of the GDP. According to recent United Nation’s statistics, 59% of the country’s citizens point to corruption as the greatest problem facing the country. During 2009 Afghan citizens paid $2.5 million in bribes. Almost half of those Afghans surveyed, 40% said that during recent contact with a government official they were asked for a bribe. This pervasive corruption makes any governance progress next to impossible. But more than that, this corruption makes citizens lose their faith in the state and look for security elsewhere. Karzai spoke just weeks after his election “victory” and promised to take steps against corruption. However, almost five months later the Afghanistan government has yet to announce any strategy for dealing with corruption, nor has Karzai created any national entity or agency to address the problem. The billions of dollars in Western aid and the 100,000 men and women waging war against the Taliban require that the government of Afghanistan do its part. It requires Karzai at least make a bumbling attempt at transparent and honest government. But President Obama also has some decisions and changes to make of his own. How long can the President legitimately ask his country to sacrifice some of its best and brightest for a man who could care less about their sacrifice? 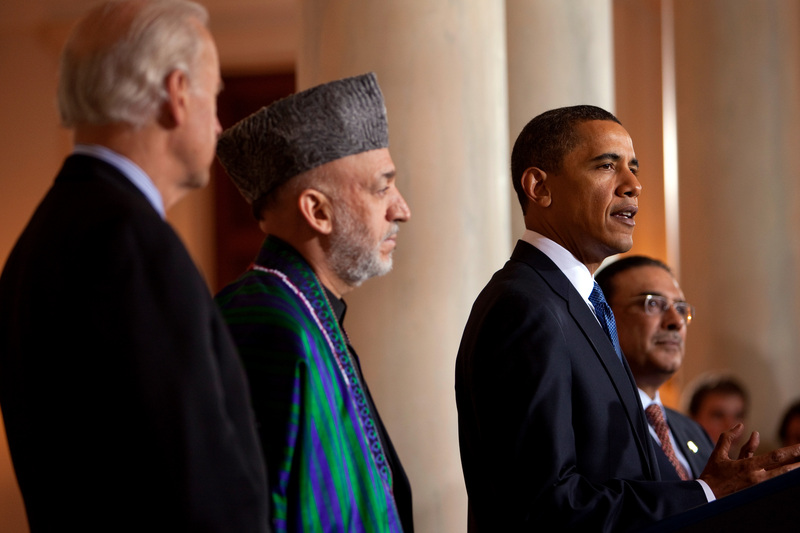 This Karzai mess represents perhaps a larger problem with President Obama’s diplomatic course. The man whose corruption continues to leave his country in a state of disarray is rewarded with an additional 30,000 American lives. Meanwhile we turn a blind eye to his close relationship with our enemies. But perhaps that is the consistent course; after all we’ve been just as hands off with Iran’s human rights violations as Afghanistan. It is not that this President has a problem articulating a foreign policy; he has a problem wielding the stick to enforce it. Mr. Obama, friend or foe, what is the difference? How will you ask a man to be the last to die in Afghanistan? 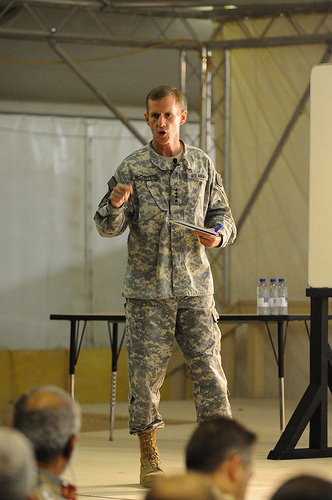 As of late there has been much discussion about the decision by President Obama to deploy more troops to Afghanistan. Having first hand knowledge of the situation through two combat deployments there myself, I fully support that decision. The introduction to a recent opinion piece in the New York Times by Nicholas Kristof is a hypothetical story of why the local populace in Afghanistan supports the Taliban and not the US troops whose presence there is meant to protect them. He goes so far as describing the Taliban as pious and honest; The same Taliban that kills innocent civilians not abiding by their anarchistic orders and encourages the stoning of women for moral transgressions, while harboring and training the very terrorists who murdered thousands of innocent American civilians on September 11, 2001. These, to name a few, accompany a slew of egregious acts of this so-called “pious” Taliban. He continues by comparing the shoes President Obama wears on this War on Terror to that of Lyndon Johnson’s during Vietnam. Our current conflict is nothing like Vietnam in terms of origin and it has no chance of yielding the kinds of casualties witnessed in the ‘60’s and ‘70’s. We have had defined strategies from the beginning that have focused on supporting the local populace, not attacking them. The all-volunteer army and police forces the U.S. has fielded are a testament to that support. 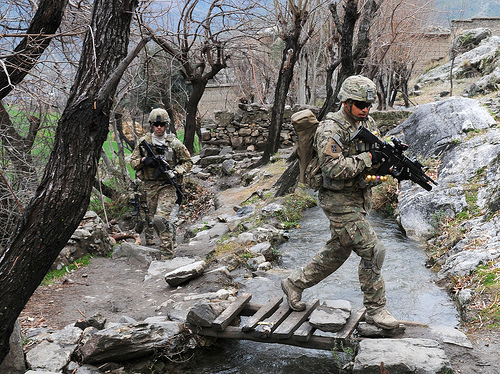 Decreasing efforts to defeat the poisonous influence of an ever-growing Taliban would mean that, after having come nearly eight years since first entering into Afghanistan, it would be all for not. No amount of monetary investment will fuel the necessary educational growth within the country, as it will inevitably flow through the sieve that is the unstable Afghanistan, as we know it. I believe the path to success is through education. However, if we allow these terrorist groups to grow and take hold of a nation they’ve done nothing but destroy, then no amount of school building (and re-building and re-building and…) will matter. Without the security that the increased troops will provide, that sieve which is Afghanistan will take the money and put it to no good use. Our presence there is absolutely, without a doubt, necessary for the work that has been done thus far to bring a permanent change to a country currently defeated by a terrorist group. The Taliban move into towns, kill elected officials to establish dominance and commit extortion, acting in no way like a pious and honest lot. Afghans may not be too keen on the U.S. presence in Afghanistan, but at the end of the day they realize that without us, the Taliban have free reign. If the Afghan populace begins to think that the Americans are just passing through from one valley to the next, offering no real security and are uncommitted to their cause, our presence this entire war will have been moot as the Taliban will regain control and instill the terror so familiar to Afghanis. Our troop levels in Afghanistan have been dangerously low for years. Until we sustain higher levels for an extended period of time until a point President Obama advises we will be unable to effectively defeat the Taliban, never truly establishing a lasting and secure country. Only after we give Afghanistan the type of security wherein they are able to operate freely in their daily lives should we continue to put money into building schools and expanding the country’s infrastructure. Only then will those monetary investments be able to offer a return that is acceptable. An even more recent article by Tom Engelhardt and Nick Turse from the Huffington Post, cite the U.S. military having a 666:1 advantage over the estimated number of Al-Qaeda. While the sheer numbers may be close to true, the number of ‘actual’ soldiers, sailors, and marines fighting Al-Qaeda head-to-head in the fields and mountains of Afghanistan is on much more even ground. While the U.S. and NATO forces do whatever is in their power to protect the civilian population during the fighting, Al-Qaeda does not. In order for the civilian population to be sufficiently protected and the enemy sufficiently defeated, we need to increase the real-time U.S. troop to Al-Qaeda ratio significantly. The current surge does this and time will tell if is it sufficient enough.